The archaeological monuments known as souterrains, particularly characteristic of eastern Scotland from Aberdeenshire to Fife, have long been a mystery. When this book was originally published in 1963, recent investigation on two of these types of works, at Ardestie and Carlungie in Angus had shed more light. This book combines two excavation reports with a re-consideration of the problems that surrounded these ‘earth houses’ and their builders. 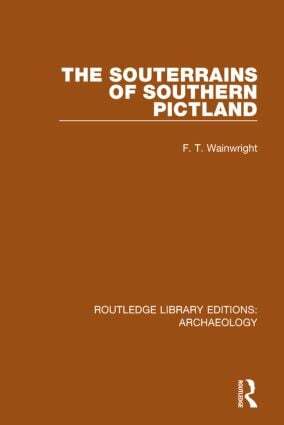 It presents a summary of all recorded souterrains between the Dee and the Forth, offering great insight into these structures and also into the status of this kind of archaeology at this time.